2020 US Election: Who will be the Democrat nominee? "Beto O'Rourke has Bernie's ability to inspire mass rallies but is three decades younger, without the decades of ideological baggage outside the party mainstream...The party establishment love him." Analysing the mid-terms, I argued that Donald Trump will not be re-elected and that there was a good chance he wouldn't even be on the ballot. Today let's consider who will take him, or a Republican replacement, on in the 2020 US Presidential Election. The politics may be in total contrast to what we saw in the explosive 2016 Republican primary but the dynamics similar. Then, 18 candidates produced an anarchic process that required the TV companies to show an 'undercard' debate preceding the main event. The resulting circus produced unpredictability, constant drama and defeat for mainstream politicians. A case could be made for at least 15 candidates. CNN's Harry Enten listed his current top-ten rankings plus three wildcards and that didn't cover the field by any means. His number one is also top rated on Betfair - California Senator Kamala Harris is available to back at [9.4] to be Next President and [6.0] for Democrat Nominee. Harris was actually the first bet I advised on this market at [15.0] last October but I've since laid the stake back. Assuming she runs, her chance is obvious. The California primary is much earlier than usual in the next cycle and whoever wins it will be front-runner. Harris will continue to get much exposure scrutinising Trump via her role on the Senate Judiciary Committee. There is a strong inclination among Democrats to pick a woman. She's in pole position but that is reflected in short odds and there will be plenty of other women involved. For example Enten rates Elizabeth Warren [18.5] second and Amy Klobuchar [40.0] fourth. At the same odds, Tulsi Gabbard [32.0] and Kirsten Gillibrand [40.0] are attracting support. Everyone may be wiser to the latter effect now but the first remains fundamental. To get a hearing, candidates will need to fast develop a public profile and name recognition, plus resources to get their message across. It isn't obvious that any of those aforementioned names will be up to that task, or able to differentiate themselves from the pack. The Democrats need a communicator with mass popular appeal, who can energise their younger and more diverse voters. Indeed that is always the case for the Left and why they fared so much better this century with Barack Obama, rather than Hillary Clinton, John Kerry or Al Gore. The closest thing the Democrats have to a star is Beto O'Rourke. Ignore the fact he came up short in Texas - he was a big underdog and the close result reads exceptionally well. In getting 48.3%, he comfortably outperformed predictions, in stark contrast to other Senate targets such as Florida and Tennessee. I've been building a Beto position for a couple of months, initially recommending a punt at [50.0], then laying the stake back at [28.0] for a 'free bet'. The morning after I went back in, recommending this bet on Twitter. A word of caution. These are pretty short odds, two years out, in a crowded field. He probably isn't the best 'value' bet now at [12.5]. He is by no means certain to run and may well instead be a highly sought vice presidential candidate. O'Rourke will, however be urged constantly to run and generate media speculation. Many believe Bernie Sanders would have beaten Trump in 2016 and his progressive movement - exemplified by The Young Turks - will be influential. In that crowded field, a unified bloc of support for one candidate would be hard to beat. Regardless of Bernie, who will turn 79 in election year, they will want a candidate committed to medicare for all and, critically, no corporate donations. An unapologetic progressive. Beto O'Rourke has Bernie's ability to inspire mass rallies but is three decades younger, without the decades of ideological baggage outside the party mainstream. His voting record during six years in Congress was moderate or centrist. The party establishment love him. His one negative - inexperience - is probably irrelevant nowadays on the basis of Trump and Obama. Another progressive in contention - and in value terms, a better bet at [55.0] - is Ohio Senator Sherrod Brown. His record - elected for a third-term by a 6% margin in a pro-Trump state where Republicans won the Governorship - should terrify Republicans. Especially after 2016 and 2018, they cannot win the presidency without Ohio. Any Trump route to re-election involves OH and at least one more Rust Belt state. If Democrats pick somebody who appeals in this part of America, they're certainties. Brown hasn't declared yet but admits he's thinking of running. That doesn't mean he will and, as with all these 2020 bets, punters should bear that hard-to-calculate risk in mind. Nevertheless I could envisage the influential Warren and Sanders backing him instead of running themselves. I've added him to the book at [75.0] - which also includes several lays of Trump and an outside [100.0] punt on Michael Avenatti - and [55.0] still appeals. 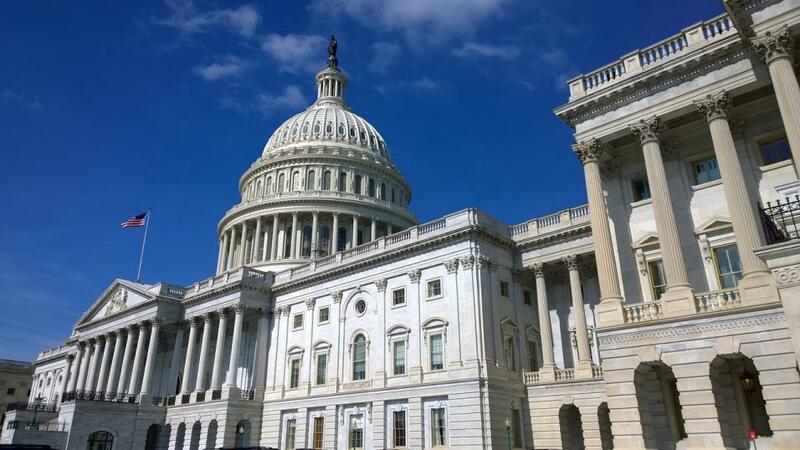 US Politics: How will the midterm results affect the markets?